The Fourth of July is just around the corner. In honor of our upcoming Independence Day, we are publishing daily quotes from our nation’s founders highlighting the high esteem they had for religion, religious liberty, and virtue. 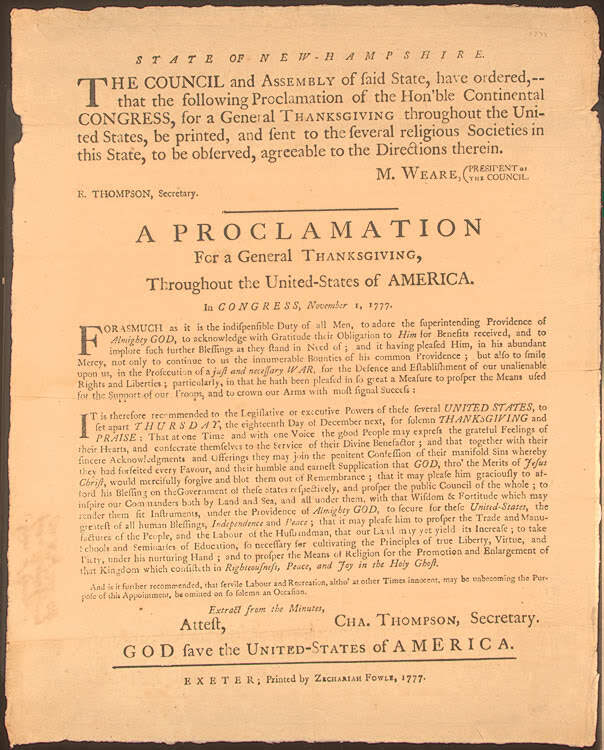 The following proclamation of thanksgiving was agreed to by the Continental Congress, November 1, 1777. The ramifications were much the same as if our own congress agreed to such a proclamation today.